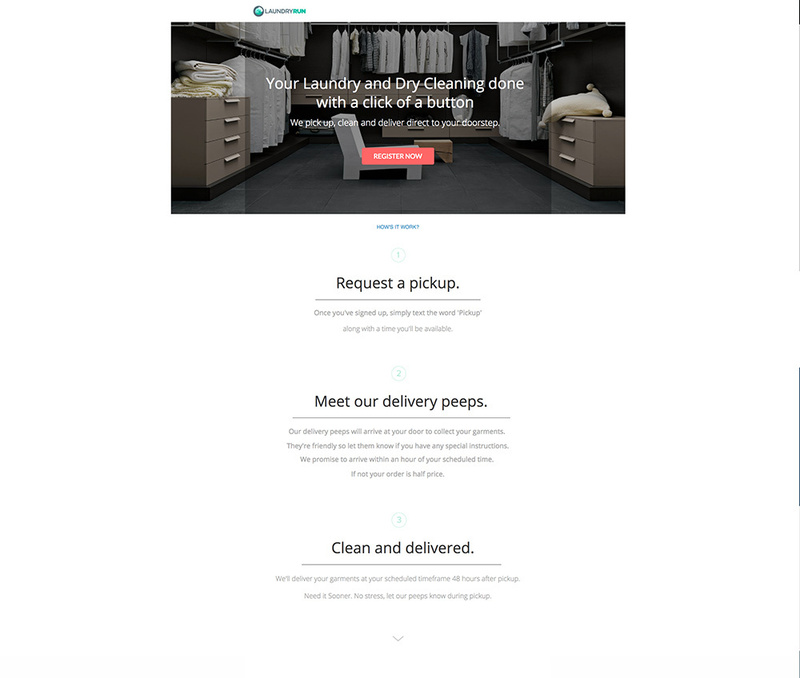 LaundryRun is an on-demand delivery service offering laundry and dry cleaning right to your doorstep. Prior to their official launch (April 2015), the company set up a lead gen landing page to collect leads interested in their service. They’ve included an incentive to sign up with a special offer of $10 off your first order.